Visiting the dentist is something you should do at least once a year, if not every six months. Too many people, however, don’t enjoy seeing their dentist. 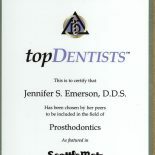 We are looking to change that here at Emerson DDS. Our clinic is reinventing traditional dental care. By combining the most advanced treatments with a highly compassionate team, it’s no wonder why we’re quickly becoming one of the most sought after dental clinics in the Lake Forest Park, WA region. When you schedule an appointment here at Emerson DDS, you’ll never feel rushed. 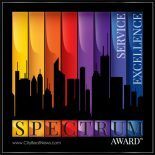 It’s important that you have adequate time with our expert staff. 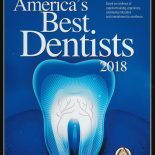 We love educating our patients about the importance of dental care, and we encourage you to ask us any questions you may have. We know that our patients are more likely to engage in proper oral hygiene at home if they understand how their smile may affect the rest of their body. The world of dentistry has evolved so much in just the last few years, and here at Emerson DDS, we’re committed to keeping up with the times. That’s why you’ll find us performing some of the latest procedures on our patients. By adapting to new technology, we’re able to offer you the best solutions to keep your smile healthy. We encourage our patients to consider dental implants if they need to replace a tooth. Not only do implants look beautiful, they also protect the health of your other teeth. If you don’t replace a lost tooth, all of the surrounding teeth may shift, affecting both the aesthetics of your smile and position of your bite. If you open any magazine, you’ll see photos of models with perfectly straight, blindingly white teeth. More often than not, their teeth have been corrected with veneers. Here at Emerson DDS, we can also give you this Hollywood smile. By adhering veneers to your natural teeth, we can completely change the shape, size and appearance of your teeth. It’s normal to notice some degree of tooth discoloration. However, if your smile no longer shines like it once did, then you should come to Emerson DDS for an in-clinic teeth whitening. We use professional grade whitening solutions to lift deeply embedded stains from your teeth. In under an hour, we’ll be able to whiten your teeth by 10 shades or more. If you’re bothered by dark fillings, we can help. Our dentist is excited to offer composite fillings as an alternative to metal ones. Composite fillings are tooth-colored, and we can replace your current fillings with this reliable option. No one wants to sit in a cold, sterile dental clinic. That’s why we keep our facility as inviting as possible. Our exam rooms overlook a beautiful landscape, and we let you gaze outside during your procedure. You’ll even find our waiting room to be a place where you can breathe deeply and calm any pre-exam jitters. We care about our patients and want you to enjoy your time here. 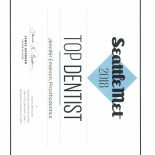 As a leading dental clinic near Lake Forest Park, WA, Emerson DDS is leading the way when it comes to great patient care. We love transforming smiles, and we are ready to work our magic on your teeth. Call today to schedule your first exam.